As immigration officials increasingly target immigrants without criminal backgrounds, families with children who are U.S. citizens are preparing for the possibility they might be deported. 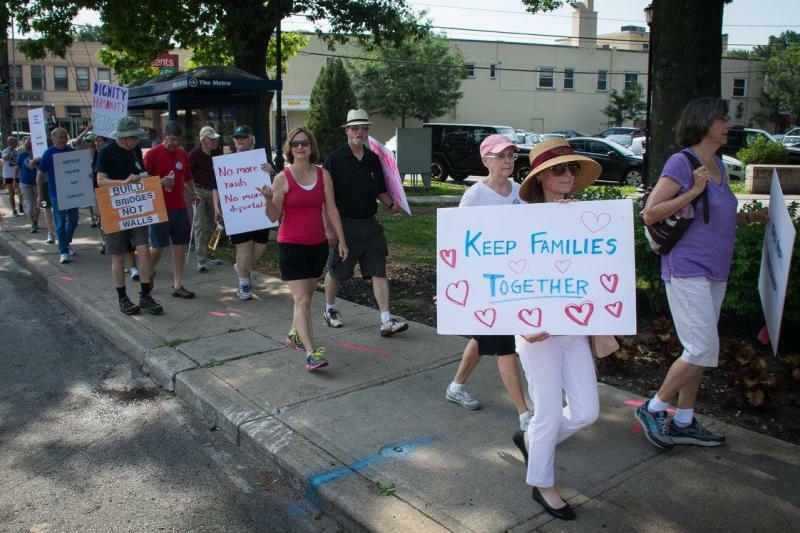 Above, volunteers march through Brookside. For most families in the United States, planning for a future without your parents is not something often talked about — at least, not until adulthood. 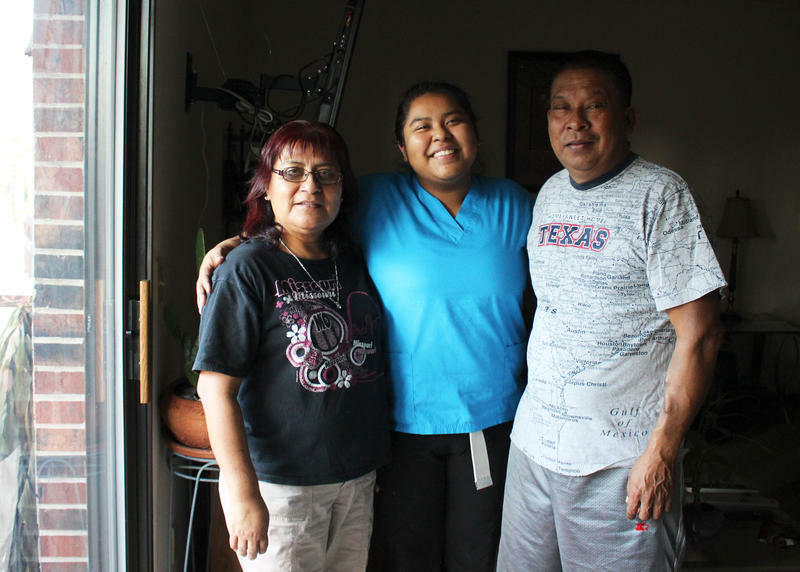 But for thousands of families with mixed immigration status in the metro, the sudden disappearance of a mother or father — or both — feels like a real possibility. An estimated 20,000 children of unauthorized immigrants live in the Kansas City area, according to 2014 census data analyzed by the Migration Policy Institute. Arrests by Immigration and Customs Enforcement spiked in 2017, according to the agency. The fastest growing category of arrests were immigrants with no criminal history. Carmen, her husband and her young daughter overstayed tourist visas years ago after leaving their home country of Ecuador during a crippling recession in the early 2000s. Her daughter is now 20 years old and has protected status under the Deferred Action for Childhood Arrivals program. Carmen's son was born in the Unites States and is a citizen. “Just driving is a risky task for me and for my husband,” she says. Carmen doesn't have a valid driver's license. Neither she nor her husband have criminal records, but they worry all the same. In the weeks leading up to the 2016 presidential election, they noticed their middle school-aged son worrying, too. His birthday was a week after the election. "One day he said to me, 'Mom, if Trump wins, am I gonna be able to celebrate my birthday here in the United States?' And I said, 'Yes, why not?'" "'Because my friends say that Trump is going to send me back to Mexico.'" Carmen decided to get her son his U.S. passport that birthday. She says he told her it was "better than winning the lottery." After Trump was elected, she and her husband also decided it was time to plan for the possibility they might get deported. Diana Martinez is a community organizer with Advocates for Immigrant Rights and Reconciliation, or AIRR. She says as difficult as it can be, making an emergency plan is extremely important. Martinez gives families a 20-page workbook to fill out with information about bank accounts, assets, utility bills, usernames, passwords and medical histories. "Usually it's the provider of the family that has that information and knows all of that. And it’s usually the provider that is usually detained,” Martinez says. The Immigrant Defense Project, a national advocacy organization, provides similar resources online. Carmen and her husband decided to make their daughter a signee on their bank accounts. Last January, they sat down and talked to her about what she should do if they both get deported. They told their daughter she would be in charge of her little brother and who to call first if something were to happen. Carmen says it was a painful conversation, but worth it. "It was a lot of tears, but we have to empower her ... We have prepared her to be strong and courageous. And she has to do what she has to do if we have to face that kind of situation," Carmen says. They have also talked to friends at church, where they found someone they could trust to serve as power of attorney and take legal custody of their son. AIRR recommends families find someone with legal status in the U.S. to be the power of attorney for the children, and Martinez says this is often the biggest challenge. "A lot of the families unfortunately don't know anyone that has status or don't have anyone that they trust that they would be able to leave their kids with," Martinez says. Nayeli Murillo is the administrative assistant at James Elementary on Scarritt Avenue in northeast Kansas City. Murillo says a majority of students' parents don't speak English, so she's become the school's parent liaison and, because James doesn't have a school counselor this year, she's also filling that role. Murillo says she is the power of attorney for four families at James. "They feel like they can trust me caring for their kids," Murillo says. Murillo says even though the students are young, she speaks with them about it. "I always tell them that I want you to know that it’s not gonna be permanent. I will make sure you’re safe and I will get you to your parents, when it’s convenient,” Murillo says. Murillo also connects families with the Mexican Consulate and helps them prepare legal paperwork. For many families, she's the only resource they have. Martinez says although there are various immigration advocacy groups around the metro, there's no centralized place to find resources. Her organization is currently working on developing a hotline families can call if ICE is at their door or if a family member has been detained. 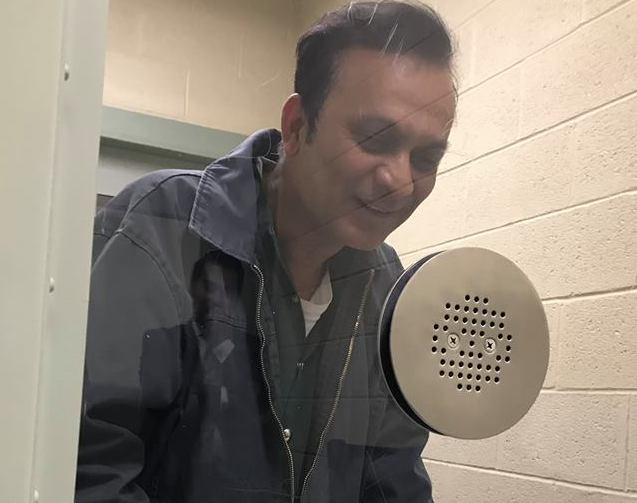 Syed Jamal, the Bangladeshi-born scientist whom the federal government is trying to deport, must be released from jail, a judge ruled Tuesday.